The purpose of Turku Doctoral Programme of Biomedical Sciences (TuBS) programme is to provide education leading to a Ph.D and MD, Ph.D. TuBS programme covers various fields of biomedical research, including immunology, developmental biology, receptor research and molecular medicine. The programme is under the responsibility of the Faculty of Medicine in the University of Turku. Students from other faculties of the University of Turku as well as from the Åbo Akademi University can be registered in the Doctoral Programme. The National Institute for Health and Welfare (THL) also contributes to TuBS. 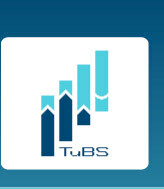 TuBS works in close collaboration with BioCity Turku. TuBS also has strong connections to other graduate schools in the field of Life Sciences through local Turku BioNet and national FinBioNet. Please find more information about Graduate School System in Finland.